E-SeaRider Marine Bean Bags are now in their 4th Generation of Design. We have refined our designs and processes since 2003 and throughout the years we have always insisted on using only the highest quality materials available. Over the years we have created a wide selection of colors, color combinations and styles to choose from. Our marine grade bean bags are made with the best quality marine vinyl available. 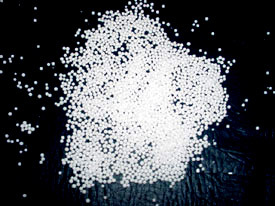 Our bean bag filler is Styrofoam pellets that will not absorb water. All of our bags contain virgin beads, which are very small and uniform making a more firm seat. 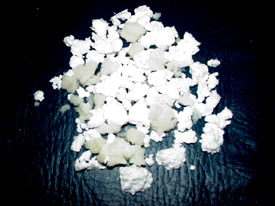 We do not use the cheaper, commonly found regrind Styrofoam clumps or urethane foams that other manufacturers use. Our vinyl bean bags clean easily with soap and water. You should avoid using bleach and other harsh cleaners on your E-SeaRider Bean Bag. We use the same heavy duty threading used in marine canvas products, and the seam is double sewn for security and durability. Some models include an extra top stitch for even more strength. E-SeaRider bean bags will conform to just about any position you like. What's best for you is best for us and we use these products on our own boats and in our own homes! All E-SeaRider products are manufactured in Holiday, Florida. We work with local distributors and vendors for our raw materials, and we are proud to have our production facility based in the U.S.A. This allows us to have full control of our products quality and helps us maintain a better relationship with our customers- by having the peace of mind and knowing they are buying from a reputable company who helps support the United States of America's economy, providing jobs for local workers. E-SeaRider is also very involved with our local community here in Tampa Bay, Florida. We love to make a difference.